It's sheer coincidence that I have painted these metal versions of the Three Hunters, just as a new set in plastic has been released. 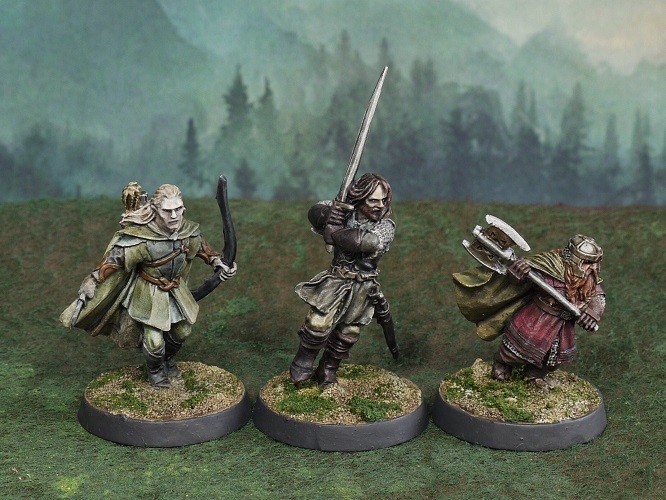 I have had metal figures representing the members of the Fellowship of the Ring for a long time, just never got round to painting them. 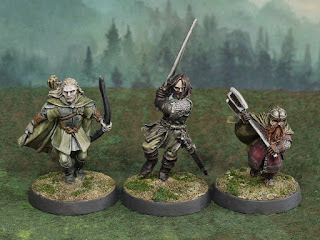 As interest in the Tolkien stories has risen recently in the Nord household, I dug out these three figures to make a start on painting all nine. I wanted three running figures, to replay the hunt scenes from the tale. 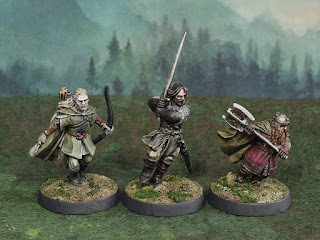 Aragorn, Gimli and Legolas pursue a host of uruk hai across the plains of Rohan, knowing that they have captured the hobbits Merry and Pippin. In the book (and film) they meet Eomer and his riders, discovering that the uruks have been destroyed, thus ending the chase. But imagine if that had not been the case and the hunters had finally caught up with their prey. That would make an interesting scenario to play out. Thanks guys, I like em! 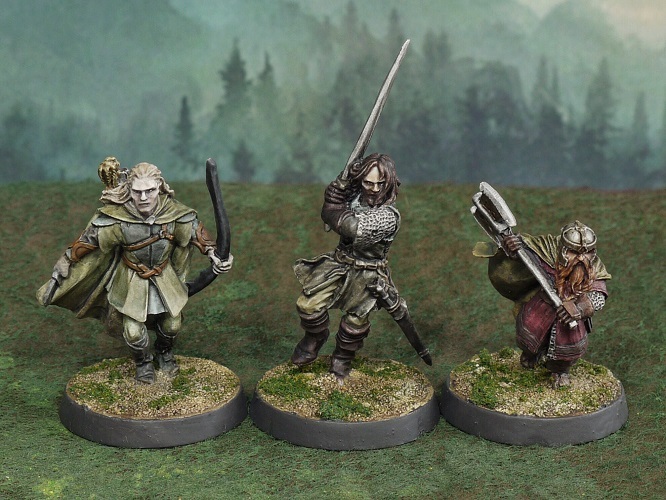 For fast painted figures, they turned out exquisitely!